I have just purchased my new ooma and I'm finding the whole process both fascinating and a bit complicated. I have two lines coming into my house and DSL. Line 1 is my main line and carries the DSL. I would like to switch this 100% to ooma. Line 2 is my small business line and typically is only for incoming calls. I'll keep this. Let me see if I have this straight and in sequential order. 3) Port line 1 to ooma. 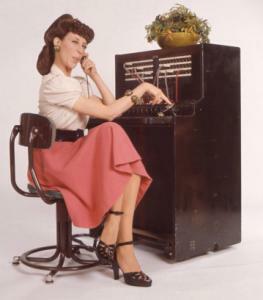 Now, if this is all set up right, will all my local calls on line 1 STILL go out on line 2? I don't want this since the callerID will be different and I don't want my callers seeing me calling from line 2 unless I'm calling from the business line, which never happens. Also will all my 911 go out on line 2? Thanks!! I hope I love this! Is there some sort of test number people can call to see how well their ooma quality is so I don't have to bother friends? I guess it would have to be a long distance number since all locals are going out on the landline. Hi and welcome to ooma. There are many different setups out there and many users have gotten it to work for them and I'm sure with some effort we here on the forums can help you get it setup the way you want too. First something to note, since you have DSL, you'll need to keep the DSL signal separate from your ooma hub and separate from the line you want to use the scout on. The ooma hub and scout use HPNA to communicate and DSL will interfere. Also, since you're keeping a landline, do you want to integrate the landline with ooma? If you select this option in the activation process, you have to connect the active landline from the wall jack in your house to the wall port on the back of the ooma hub, otherwise the hub won't register and you won't get a blue tab and dialtone. If you elect to integrate a landline, all local and 911 calls will go out on the landline and all toll/long distance calls will go out on ooma. Your outgoing caller id will depend on the call being made, either from ooma or from your landline. Do your steps 1, 2, and 3 and keep your line 1 and 2 separate. Line 2 would go to your DSL modem and your alarm system and your business phone (or line 2 if you have a 2 line cordless system) and line 1 to a cordless phone. There are other ways you could set this up, but we'd need to know more details on how you want it set up. As far as testing, since you have a landline you can call that. Any call to the PSTN (POTS) is a valid test to see how it's working and how the quality is. Hi, My DSL is on a main filter where the line comes in the house. It splits of from there. I'd make sure thats all taken care of when the line is switched over. I'm still mulling upgrading to cable internet if this all works out. My main concern is that if I plug line 2 into ooma and it sends "local" calls to the land line (line 2), how does ooma know what is local and what is not? My line 2 service is barebones primarily for receiving calls. I can only, essentially, call within a 2 or 3 town area. If I connect ooma, how does it know what level of service is supported as "local?" As far as testing, if I make a local call then the ooma isn't sending my call out via VOIP, which is what I want to test out for a while. [quote.. how does ooma know what is local and what is not? In order to test it out for a while, you could just activate the ooma hub and select a temporary number and don't integrate your landline at all. You would just plug the modem port of the ooma hub into your DSL modem and your computer or router into the home port and a phone into the phone port. It will register and you can begin making calls within minutes. In order to switch between landline integration and no landline integration after activating, you have to contact customer support. Hmm... Okay, so how do I know what numbers are going to go out on the land line and what numbers will go out through ooma's voip? If you don't integrate a landline, all calls will go out through ooma. If you do integrate, when you pick up the phone, you'll hear the ooma dialtone which is a musical chime for about a second before it changes to a regular sounding dialtone. You'll hear that regardless, if your ooma is connected properly and you have a blue tab. When you make a call, depending on the area code and exchange that you punch in to make the call, ooma will decide whether to use the landline or to use the ooma system. If it uses ooma, you'll hear the connection tone once before it connects and again after the call is connected. The person receiving the call will also hear the connection tone the second time after the call is connected. You can listen to, change and disable the connection tone in the lounge after you've activated. That is a function that depends upon your exchange. Your ILEC's telephone book usually shows which numbers are local to your exchange and which are Intralata or "toll calls"